Transformer Insulating Oil - GlobeCore. Oil Purification Systems. Electrical transformers need an adequate insulation. One of the most important components of insulation system is transformer insulating oil. It is a fluid or liquid substance that is common for transformer system and known as the most popular insulating material all over the world. Each transformer has its own complex system of insulation. There always must be a combination of solid and fluid (or liquid) insulating components. There is a plenty of possible insulating materials, but there are also the most common types. Transformer insulation can also have major and minor insulation. The major insulation separates windings from the iron core, and the minor is used between the parts of coils or windings. Also known as naphtenic oil. It is a naphtha-based product, that is the most common in usage as transformer insulating oil. Mineral oils consist of hydrocarbon components, that usually come from residual oil fractions of the appropriate viscosity level. In other words it is a by-product of the petroleum distillation. There is another range of oil, that is based on naphtha, but has a different origin and features from mineral oil. Technically paraffinic oil is a refined mineral oil but in another configuration. This kind of oil has lower oxidation level. But it’s impossible to remove the products of this harmful effect. They dissolve themselves in paraffin, so they spoil the fluid content. It is a chemically produced substance that can be as transformer filling. Silicone oil consists of liquid silicone polymers. They are the chemical analogues of similar organic compounds. Si atoms replace carbohydrate atoms, and so the substance of silicone oil is formed. The main disadvantage of silicone oil is that it is hardly biodegradable. There are also ethereal oils. They are organic and have plant origin. The issue is that they are polluted and aged very quickly. Protection from oxygen and cellulose interaction. 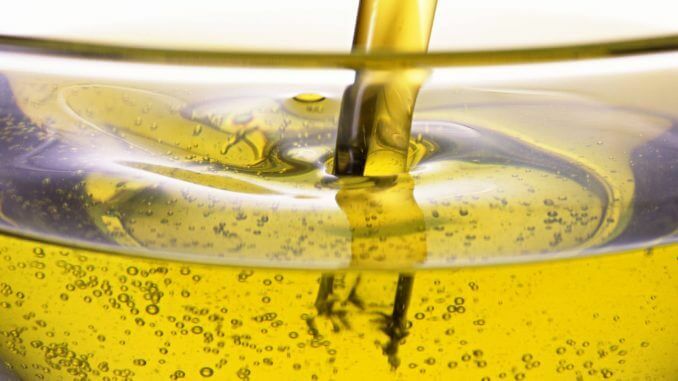 The insulating oil of high quality has its range of positive features First of all, oil as an insulating medium has high dielectric strength. So it is effective and demands less power costs then the other types of liquid insulation. Also oils have enough viscosity level, which is helpful in loads of situations. First of all the transformer oil will not have evaporation losses. Transformer insulating oil not only has higher power eficiency, but also has a wider temperature flexibility. It makes the operation easier and more relevant to circumstances. To keep the insulating oil system in order you should provide comlex service. What is important firstly, the transformer oil must have relevant quality sertificate. It also should proceed the analysis before using. So it is not advisable to operate with oils of dubious quality. Nevertheless, there is a plenty of new technologies that can bring any substance into a clear state. viscosity – a parameter, that is important for heat transfer possibility. It should be low but also not water-like. Oil purification is one of the ways to restore insulating fluid. The purifying system uses different possible filtrating material. The combination of physical and chemical approaches helps to move out any bad contaminants from oil. This procedure became efficient and easy with GlobeCore equipment. It is a special and unique machining comlex. The CMM-R plant works with a sorbent, which picks up all the exterior solids. This transformer oil Regeneratiom System can go in combination with degassing and other units. All of the latest industrial oil service equipment has an easy controll system. The newest units have a computer system, which shows all the important indicators. Most of the difficult operations are automatic. The invention of intelligent technologies helps to make any manufacturing and service process easy and safe.